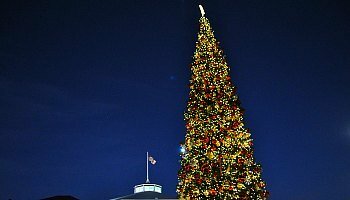 San Francisco events in December 2018 include several tree lighting ceremonies, Christmas activities, and other fun things to do. You can head to the theater to see Bat Out of Hell, admire the talented acrobats at Cirque du Soleil, catch one of the SF Ballet's popular Nutcracker performances, or visit Santa Claus at one of several locations around town. Click the links below to jump to the section with more information on these top December events. 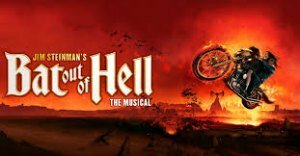 In December 2018, you will have the chance to see Jim Steinman's Bat Out of Hell on stage at the Orpheum Theater. It follows a forbidden love story and includes some of the top hits from Jim Steinman and Meat Loaf. It's one of the best San Francisco events in December. A Bronx Tale (11/27-12/23): Another top Broadway show this month in San Francisco is A Bronx Tale. Set in the 1960s, it's the story of a young man trying to decide between a life of crime and his beloved father. All shows are at the Golden Gate Theater. Dear Evan Hansen (12/5 - 12/30): This final show this month is Dear Evan Hansen about a young man that doesn't fit in. When a classmate dies, he takes the opportunity to become close with his family based on a lie. All shows are at the Curran Theater. Find tickets to all performances. One of the best San Francisco events in December is a cruise around the SF Bay. You will find about two dozens cruise each day of the year. 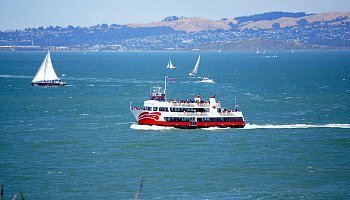 Top options offer you the chance to spend an hour or two on the SF Bay as you soak in the sights along the shoreline. Almost all of them cruise under the Golden Gate Bridge - twice! You will also cruise near Alcatraz. Many of them leave from the piers in or near Fisherman's Wharf. Some offer a few drinks, others offer some light appetizers, and all of them will give you time to relax and unwind. They are all an experience you will never forget! 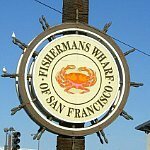 If you plan to spend a lot of time on or near the water, then the Fisherman's Wharf district is a great place to stay. You will find dozens of well known hotels brands here including the Sheraton, Holiday Inn and Marriott. 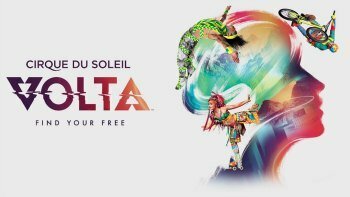 Cirque due Soleil rolls into town this year with Volta. It's one of the most anticipated San Francisco events in December! Volta follows the story of a young man that is seeking happiness and recognition from his upcoming appearance on a gameshow. What he finds out is that it isn't the outside world that turns your dreams into a reality, but instead, your inner strength. It's a wonderful story of self-acceptance and transition into a world that is magical and everything you've always wanted in life. All performances are Under the Big Chapeteau near Oracle Park (formerly AT&T Park)k in the South of Market district. Find a full list of shows below. Click the links for ticketing information. A Christmas Carol is a beloved San Francisco tradition this time of year. For more than 40 years, the SF American Conservatory Theater has performed this musical version of Charles Dickens' classic tale with a lively cast, colorful costumes, and spooky ghosts. You can catch this holiday favorite at the Geary Theater all month long, even on Christmas Eve. Make sure to plan ahead as tickets sell out quickly! 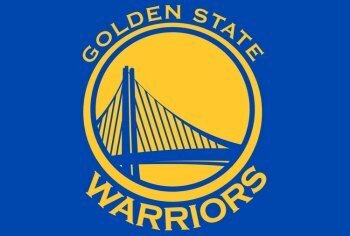 Don't miss your chance to see the 2018/2019 Golden State Warriors on the court this month. It's one of the hottest San Francisco events in December. This month, they play more than a half dozen games at home in Oracle Arena in Oakland. Top opponents this month include the Memphis Grizzlies, Los Angeles Lakers, and Portland Trail Blazers. It's a quick 20-minute train ride away from SF, so pick up your tickets today! Spend a full day on December 1 at the Know Your Value Event by Mika Brzezinski. This powerful event will discuss how to increase your value in your workplace, and improve your personal finances, health and wellness. Other guest speakers include U.S. Sen. Kamala Harris (D-CA); Academy Award-winning actress Mira Sorvino, former president of the WNBA and CEO of Time's Up Lisa Borders, and Natalie Morales, "TODAY" West Coast anchor. The event will also include more than a dozen other high power women. They will speak about how women came become more empowered and ways for you to discover your worth in business and in life. The event is inspired by Mika Brzezinski's New York Times best-selling book Knowing Your Value: Women, Money, and Getting What You're Worth. For the first four weekends of December in San Francisco, you have the unique opportunity of immersing yourself in a world centuries and half a globe away, to Charles Dickens' Victorian London, where it's always Christmas Eve. Here you'll find hundreds of costumed guests, as well as lamplit lanes, pubs, theaters, music halls, and shops, like a Victorian Christmas card come to life. The SF Ballet will perform The Nutcracker again this December at the War Memorial Opera House. It was performed in San Francisco for the first time in the US on Christmas Eve, 1944. Although it's now performed all around the county, this one is a popular ticket so make sure to get yours early. It's one of the best family-friendly San Francisco events in December. Shows run from December 12 - 29. Save on your visit with these great deals on Goldstar. 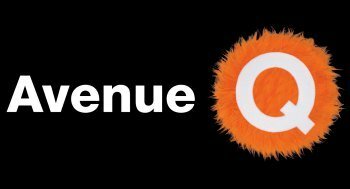 Avenue Q will keep you laughing all night long. This entertaining Tony Award winning musical is the adult version of Sesame Street. This entertaining show features puppets finding that the realities of adulthood are different from the shows they watched and learned from in their childhood. All shows are at the New Conservatory Theater in Hayes Valley. 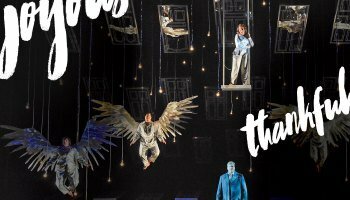 Don't miss this month's SF Opera performance of It's a Wonderful Life. It's based on the movie with the same name and a show you will not soon forget. It follows the story of George Bailey who is contemplating the meaning of his life and possibly ending it. An angel appears to help him decide his fate. 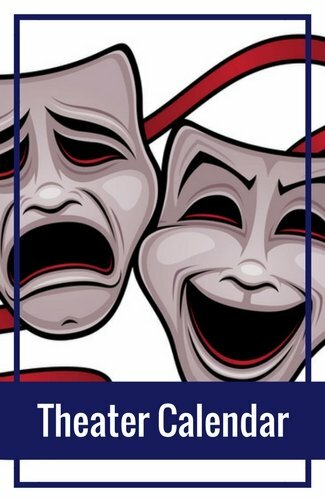 All shows are at the War Memorial Opera House in the Civic Center district. One of the best ways to learn all about San Francisco is on one of our popular bus tours. They take you around the city, so you can learn all about our top attractions. 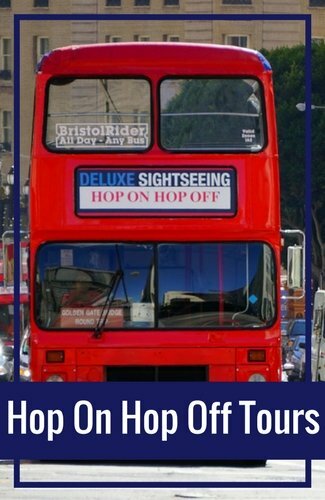 Hop On Hop Off Bus: This one is great for both first timers and return visitors. These buses will take you on a route around SF and allow you to get on and off at predetermined stops. My favorite is City Sightseeing, which offers 32 stops around town. Learn all about it on their website and save when you book online. 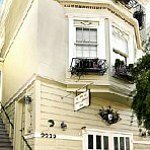 San Francisco Grand City Tour: Another fun tour around SF is this Grand City Tour. It's a 3.5 hour tour that will take you all around the city. You will drive through top districts such as Fisherman's Wharf, Chinatown and the Haight-Asbury neighborhood. You will also get a chance to see top sights. 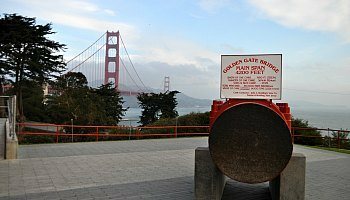 This one makes a few stops where you can get out and photograph the Golden Gate Bridge, Golden Gate Park, and Twin Peaks (weather permitting). Get details and check for availability on GetYourGuide. 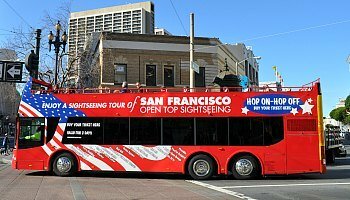 Double Decker Night Tour: December is one of the best times to enjoy a night tour around SF. 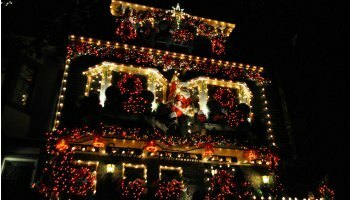 Throughout the month, you will get the chance to see our lovely Christmas and holiday lights displays. You will also pass by many of our top attractions. It also includes two short walking tours, so you can see even more of the beauty around SF. Visit the City Sightseeing site for details and ticketing availability. 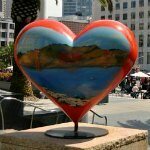 Whether your interest is art, history, technology, or gardening, you are sure to be delighted by SF's variety of world-class museums, including the Asian Art Museum, Conservatory of Flowers, de Young Fine Arts, Legion of Honor, and more. 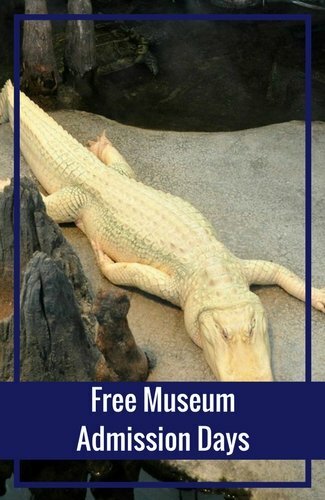 Even better, you don't have to break the bank to visit them! 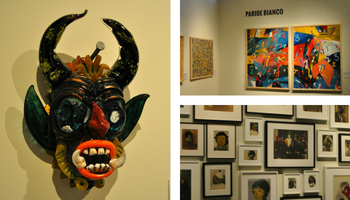 Many of them offer you the chance to take a look at their permanent collection. Some of them also allow you to view their temporary collections and others require separate tickets. 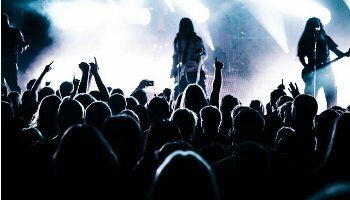 Lucky for live music fans, San Francisco is a city with lots of great concert venues. They range from large auditoriums to more intimate spaces, and they welcome big and small names from all different genres. This month, catch top performances at the Bill Graham Civic Auditorium, the Nob Hill Masonic Center or The Fillmore. 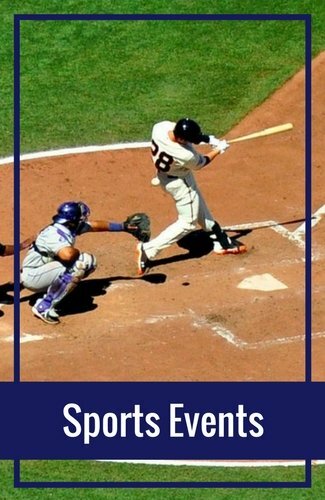 You will also find several top shows around the SF Bay Area. Here are some of the top San Francisco events in December on stage at our local venues. There are so many wonderful places with in an hour or two of San Francisco. 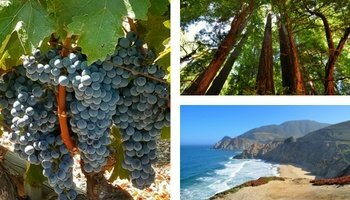 You will find two great wine regions about an hour away: Napa and Sonoma. 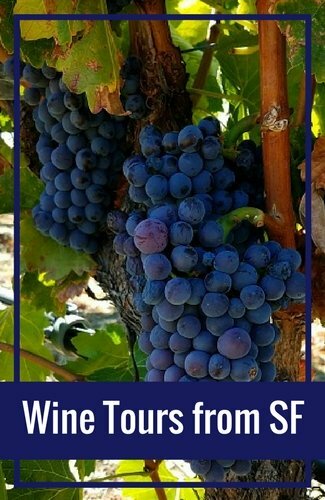 You will find other great wine tasting options in Livermore Valley, Monterey and around Carmel. About 45-minutes north, you will find Muir Woods, which offers a close up look at some of our famous Coastal Redwoods. You can also head over to Tahoe for some skiing or head south to visit the coastal towns of Monterey or Carmel for the day. Don't want to rent a car and drive on our busy streets? No problem at all! You can take a guided tour to most of these locations. 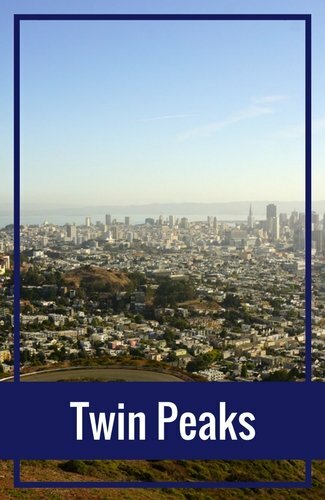 Here are just a few of my favorite days trips from SF. Are you looking to simplify your planning? Are you only visiting for a few days? 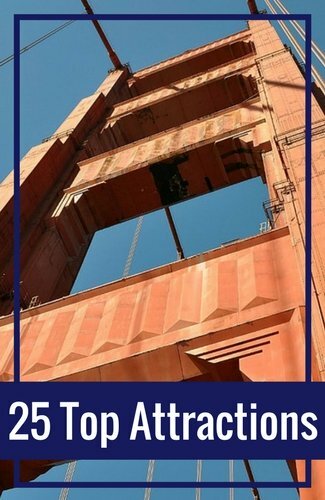 With this three-day itinerary, you will discover the very best of San Francisco, including top attractions like the Golden Gate Bridge, Alcatraz, and Chinatown. You will also get to ride a cable car, go shopping, see colorful murals, and explore great neighborhoods on foot. Each day offers alternative suggestions, so you can find the right options for yourself and those you are with. Make the most of your 72-hour visit to the city! In addition to my three-day itinerary, you will also find some other great suggested itineraries on my site. These are a few of the most popular options. 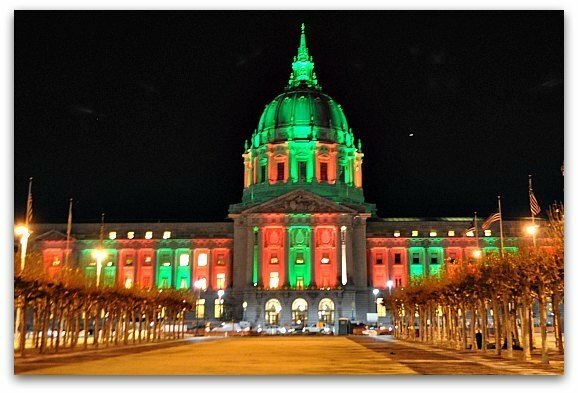 If you plan to check out some of these great San Francisco events in December, then I recommend staying a few nights as well. The best places to stay are in SF's Union Square and Fisherman's Wharf. Both offer great access to the rest of the city. You might also want to try one of our lovely boutique hotels or splurge on a five star gem. Check out recent guest reviews and great deals today! The whole city is getting into the holiday spirit. 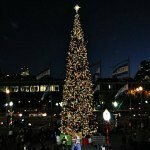 Tree and Menorah lighting ceremonies continue to illuminate San Francisco this month as the holidays draw near, and it doesn't stop there! 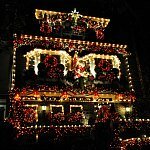 Union Street's beautiful Victorian homes, the Embarcadero, and even the SF Zoo will all come to life with lights, and you can be a part of it! Without a white Christmas, San Francisco still manages to bring the wintry magic of the holidays right to the heart of downtown. 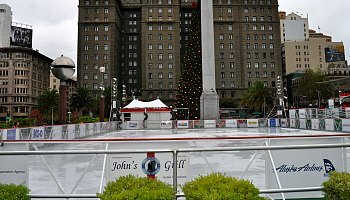 While you're out shopping, eating, and taking in the urban holiday decor of Union Square or the Embarcadero, take a break to catch a nice breeze on one of the outdoor skating rinks that only appear during this season. 90-minute sessions are affordable and skate rentals are available. One of the hottest San Francisco events in December at our local museums is Nightlife. 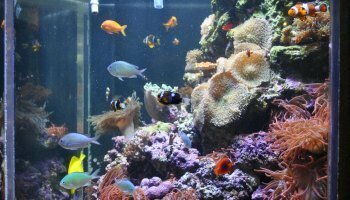 This 21+ event is at the California Academy of Sciences. Every Thursday night in December, they throw a huge party. Each one evolves around a theme. Previous themes include Animal Behavior, Beyond Human, and Fermented. All activities for the evening will have something to do with that night's theme. You can explore the museum, grab a drink in their cocktail area, and meet other nature and science lovers. The event starts at 6pm and runs until 9:30pm. Santa Con is huge annual event held in large cities all over the country and world, in which thousands of everyday people dress up as Santa and walk through the streets together spreading holiday cheer. Either put on your jolly red suit to join in, or head towards downtown to take in the unique sight. The event starts with a gathering in Union Square. 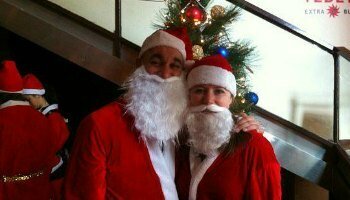 All santas will then head to one of several designated districts around SF for drink specials and other holiday merriment. Don't miss the 18th Annual Parol Lantern Festival and Parade, a Filipino-American tradition in San Francisco showcasing the beautiful colors of their culture. This year's theme is "Let Tradition Be Our Light." 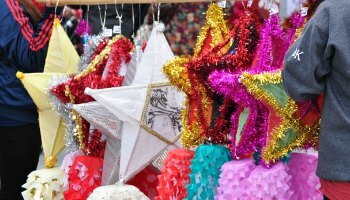 Festivities start at 5pm and the parade of star-shaped lanterns and dozens of local organizations takes off from Yerba Buena Gardens at 6:15pm. Leading up to the event, you can make your own parol lantern at the Bayanihan Community Center. This is not your average run to raise awareness and fight HIV/AIDS. This is a festive and fun tradition in San Francisco's Castro district, where you get to jog approximately one mile through this neighborhood among hundreds of other Santas in their underwear! You can wear your skivvies, underwear, bras, speedos or other red undergarments. You can also wear a fun holiday costume. The entire run is in the Castro district and a fun way to raise awareness and money to fight HIV/AIDS. Want to save big this holiday season? Check out the San Francisco City Pass discount card. 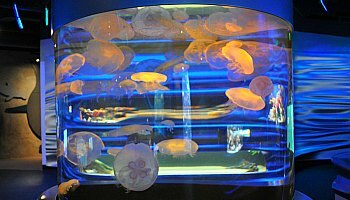 This pass includes admission into the California Academy of Sciences, the Aquarium of the Bay and either the Exploratorium or the SF Museum of Modern Art. It also includes one ride on a Blue and Gold Fleet Bay Cruise plus a multi-day cable car + SF Muni passport. 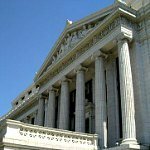 It's a great way to save during your visit and enjoy some of SF's top museums. 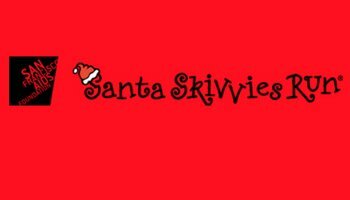 Another one of the top San Francisco events in December is when Santa Claus starts to make his rounds. 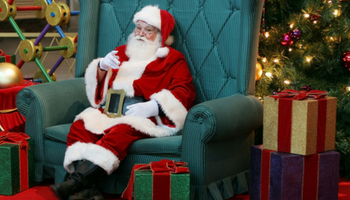 You can find him and take pictures with him at the Westfield, Japantown and Stonestown malls, as well as at the SF Zoo, the Fairmont's life-sized gingerbread house, the Ritz Carlton, Ghirardelli Square, and more! 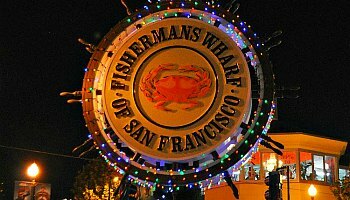 The Lighted Boat Parade has been a holiday tradition and one of the popular San Francisco events in December since 1994. 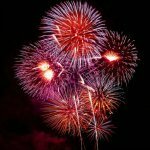 It is a unique event that brings the holiday spirit out onto the bay and invites everyone to enjoy San Francisco's waterfront. Watch the decorated boats parade past Pier 39, Fisherman's Wharf, Fort Mason, and Crissy Field. It runs from 6pm to 8pm. The SF 49ers have three home games this month at Levi's Stadium in Santa Clara. They play host to the Denver Broncos on Sunday, December 9. 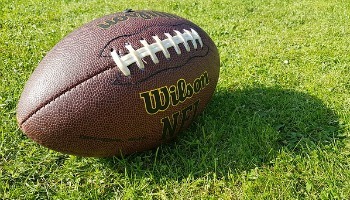 The second game is on December 16 against the Seattle Seahawks. The final game is on December 23 against the Chicago Bears. All three games start at 1:05pm. Head down early for pre-game tailgating and to check out their new stadium. If you're planning to be in town for Christmas Eve and/or Day, don't worry; you'll find plenty of things to do and see. Christmas Eve is full of fun shows and performances. Many of our top attractions and museums are open, but close early. On Christmas Day, you will find several museums and attractions open. You will also find that many tours offer several options all day long. Check out the list of attractions, tours, and restaurants that remain open on this holiday and even offer special menus and services. 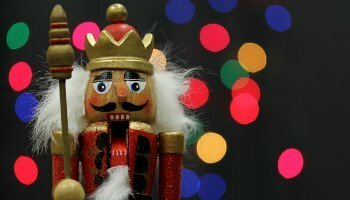 In addition, you may want to catch a holiday performance of The Nutcracker or A Christmas Carol. Whether you prefer getting dressed up for a fancy dinner, having a night out dancing, watching fireworks, or attending a special performance of the SF Symphony, you will love New Years Eve in San Francisco. 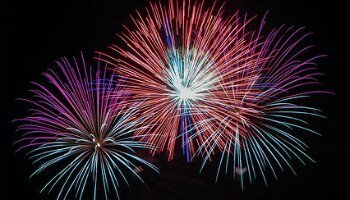 You will find many attractions are open on NYE, but close a little early. You will also find several tours and activities running regular schedules that day. In addition, I've included a few ideas and fun things to do on New Year's Day. Ring in your 2019 in the City by the Bay! Are you looking for ideas on what to pack for your visit? My weather guide for December will give you information on the average temperatures, what to expect during your stay and some ideas on what to bring along. It's a great way to help you prepare for your visit.